Mia Lara Jewelry has been designing collections since 2007, thoughtfully crafting each piece based on the philosophy that personal adornment is a quintessential form of personal expression. 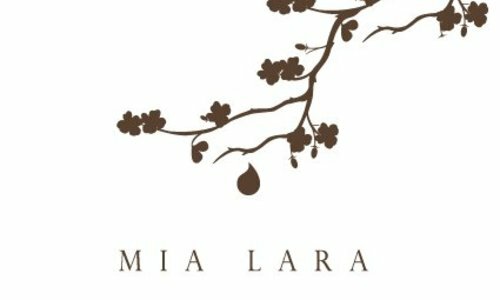 The inspiration for Mia Lara can be found where the beauty of nature and handmade creation meet. Using a mix of hand-picked, semi-precioius stones from Jaipur, India, the natural magnificence of Mia Lara is accented by organic texturing on precious metal. Mia Lara is based in Richmond, Virginia and most of the collection is handmade in Brooklyn, New York. 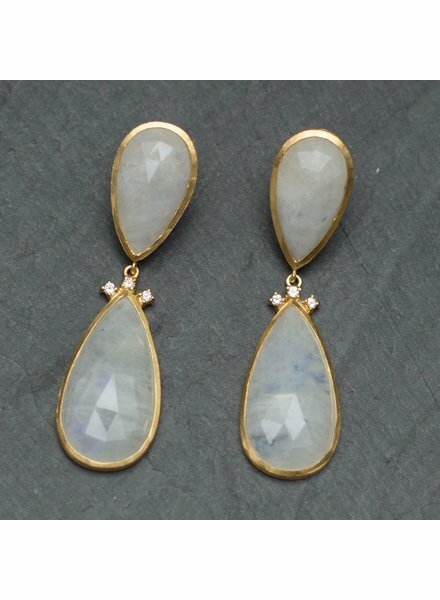 These gorgeous earrings from Mia Lara are made from precious moonstone and 14k gold. Perfect for lighting up the eyes and framing the face. 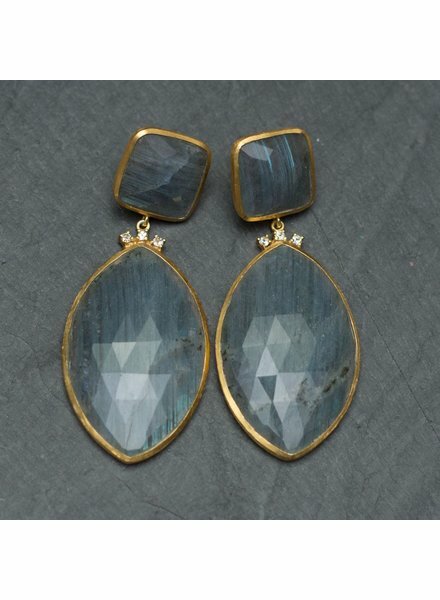 These beautiful labradorite earrings from Mia Lara are sure to light up your eyes and frame your face. Supported by post, these earrings could be worn to compliment everyday casual, or saved for special occasions. Delicate chain with brushed circle at center and faceted semi-precious stone accents at clasp.